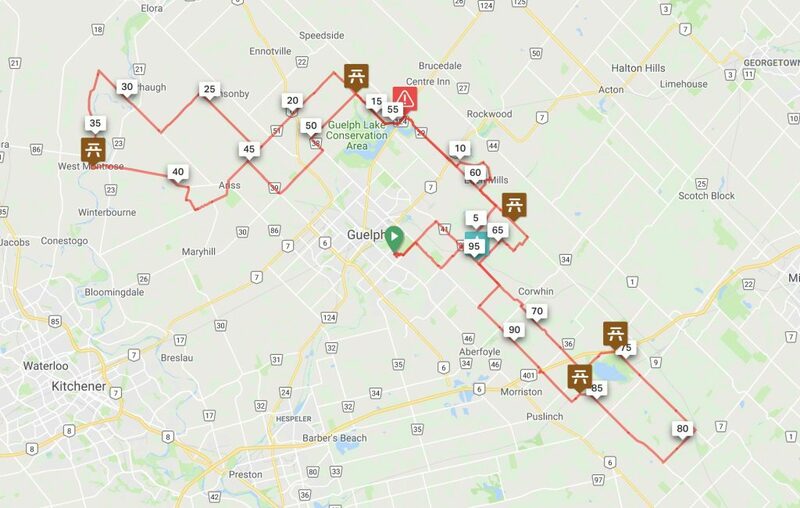 Tour de Guelph 2019 is taking place on Sunday June 23rd! Tour de Guelph takes place at the University of Guelph, WF Mitchell Athletic Centre. This is where you go to register or if you’ve pre-registered online, this is where you go to check in for your ride. All rides start and end at this location. There will be ample FREE parking in the designated parking lots. The Tour de Guelph parking lots will be well marked. Tour de Guelph Vendor Alley 6:30 am – 2:00 pm, be sure to check out all of this year’s amazing vendors! The GPS links below are provided for each road route from 25km to 160km. 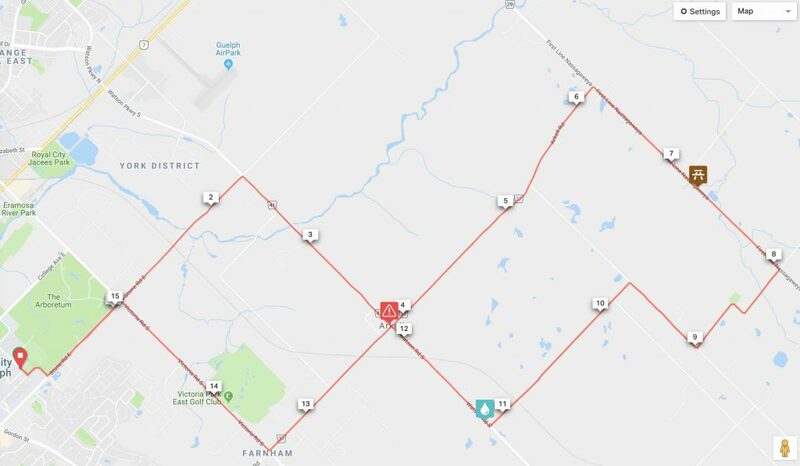 The 5km/ 10km loop will take place through the Arboretum trails, protected from vehicle traffic. 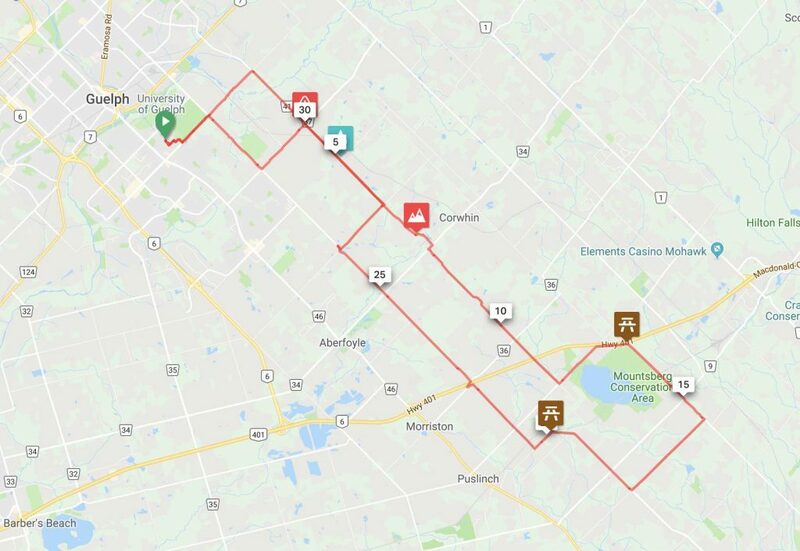 New this year is a 40km and 70km multi-surface route. Those routes are being developed and we’ll share them once available. Emergency Contact Number 226-979-7626: put this number in your phone. Please enter 226-979-7626 into the phone that you will bring with you on your ride. 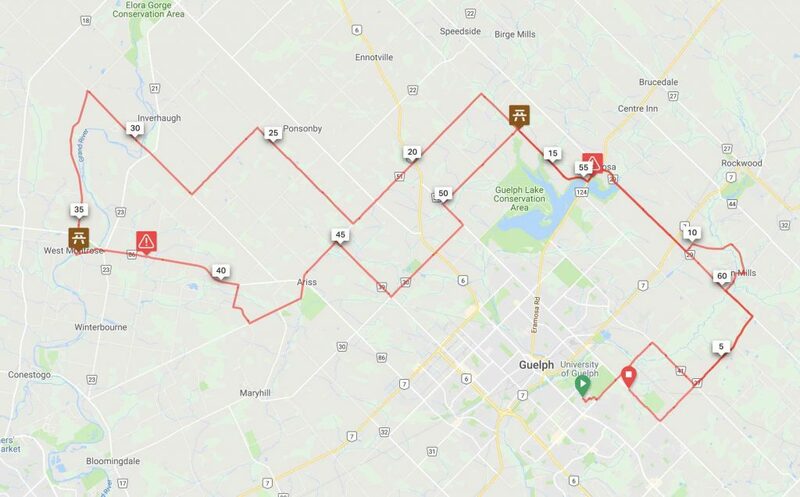 This is the official Tour de Guelph Communications line and if you encounter a minor emergency such as bike trouble or a minor incendent, please contact this number and we’ll send help. For any life-threatening emergency, please dial 911 and then please also call 226-979-7626 to report the incident. Every Tour de Guelph registrant will receive a complimentary lunch. Lunch is served between 11:30am and 2:00pm inside the W.F. Mitchell Athletics building. Choose from a selection of freshly made sandwiches, chocolate milk, fruit, chips and more, plus a selection of beverages. Vegetarian and gluten-free options are available. Food will be available until 2:00 p.m. after which time, volunteers will begin cleanup. Complimentary coffee and tea is also available in the morning during registration. To reduce waste, please bring your own water bottle filled with water. We will have water jugs at the rest stops for you to refill your bottle. All routes, except the 5/10k loop, have full rest stops with food, water and toilets. Questions on registration can be sent to our Registrar at info@tourdeguelph.ca. Questions on volunteering can be sent to our Volunteer Coordinator at volunteer@tourdeguelph.ca. Questions on any other matters can be sent to info@tourdeguelph.ca.